Before buying, check if the game is free. Immediately before payment. If you buy and the game is busy, you can choose another game or wait in line. Refund in this case is not provided. 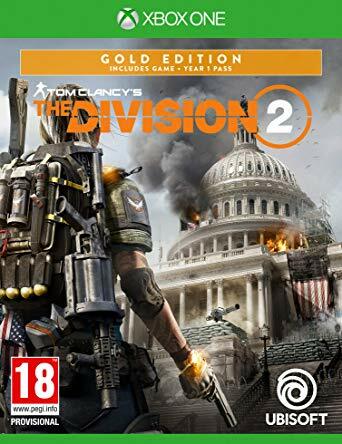 RENT OF Tom Clancy's The Division® 2 game - Gold Edition for XBOX ONE - At the top right, select the number of days. *** After payment you will receive a unique code that you tell me, after which I will give access to your account. *** Before entering the data, it is necessary to CREATE a NEW ACCOUNT on the console. *** Upon the expiration of the rental period, the account data will be changed, but you can REDUCE THE RENT by contacting me in advance. *** The goods can be issued to you, both within 5 minutes, and within several hours. I try to take this period to not exceed 1 hour, but the maximum time allowed may be 12 hours from the moment of payment. *** The game was bought at its own expense by legal means, therefore blocking of the account and the console is excluded! 1) Click on the gamepad "Left". In the "Login" menu, select "Add and manage"
4) Set the input and security parameters: "Unlimited"
5) Go to "My games and applications", click "Right" and download the purchased game. 6) After the game is loaded, switch to your profile and play. At the same time ON MY PROFILE MUST BE COMPLETED LOGIN! 7) For the game you need an internet connection. Make an account with the game home in the console settings! CHANGE and TRANSMIT account data. For violation of these rules, access to the account will be VOID WITHOUT REFUND of the paid funds!